For this guide we'll be using the stand alone version of AltaCast, available from the AltaCast website. 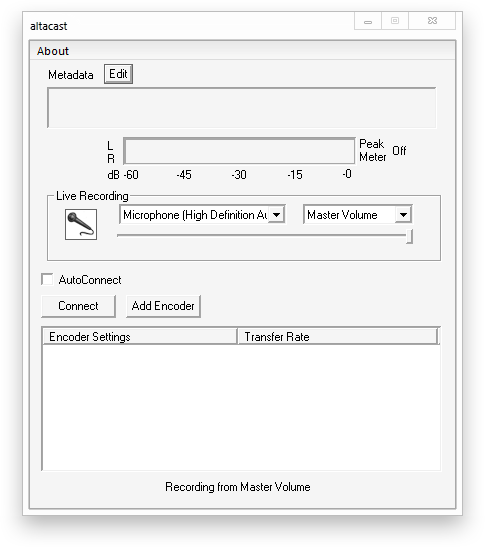 You may need to also download and install MP3 and AAC encoders. Links to the encoders can be found on AltaCast's website in the downloads section. 2. 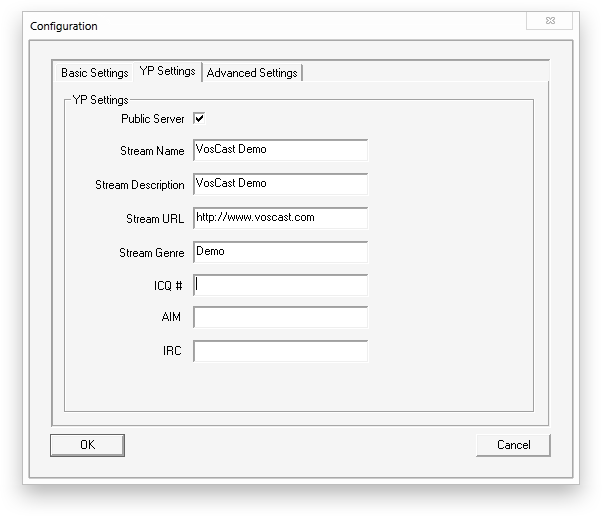 Configure AltaCast for streaming. b. Click "Add Encoder", then double click the row that is added to the bottom table to open the configuration window. Tick "Use Bitrate", then enter your server's maximum bitrate in the bitrate field. 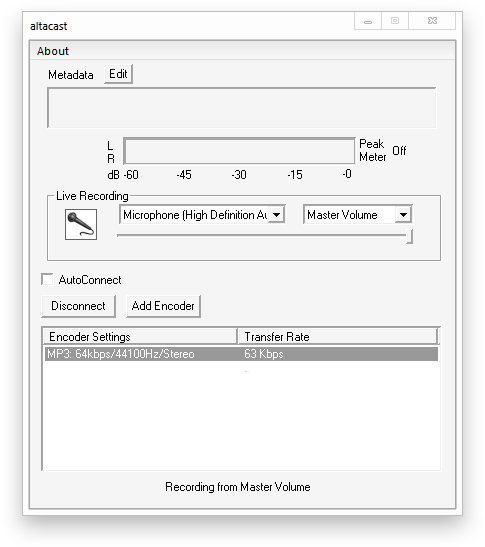 Change "Encoder Type" to either MP3 Lame or AAC. 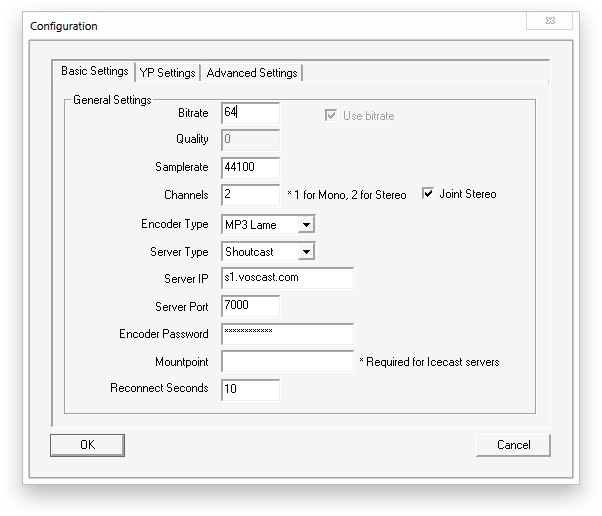 Change "Server Type" to Shoutcast. Enter your server's address, port, and password into "Server IP", "Server Port" and "Encoder Password". Erase all the text in "Mountpoint" leaving the field blank. d. On the Configuration window, in the YP tab customise "Stream Name" and the other fields to fit your server. Click OK to save your configuration settings and close the Configuration window. e. Click Connect to start streaming to the server. 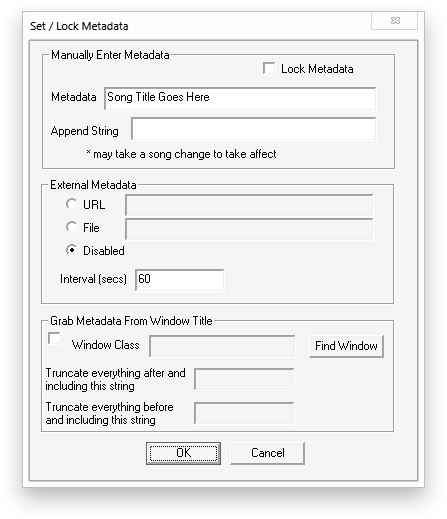 f. To set your song metadata, click the "Edit" button next to "Metadata". You can then update your server's Metadata either manually, or by updating from a URL/ file, or from the title of another window.